2011 WSOP – Episode 10: Hellmuth Denied with Change100 (2:46) – Seconds after John Juanda defeated Phil Hellmuth (who was seeking his 12th career bracelet), special guest Change100 and Pauly chat about the three hour heads-up battle between Hellmuth and Juanda. PokerStars EPT London :: David Vamplew of Scotland defeated John Juanda after over 4 hours of heads-up play to win the Â£5,000 Main Event, earning Â£900,000 (over $1.4m US) making him the most successful tournament player in Scotland. Juanda earned Â£545,000 (over $860,000 US) for the runner-up finish, moving past Peter Eastgate, Joe Hachem (finishing 15th in this event) and Scotty Nguyen into 5th place on the all-time tournament poker earnings list with over $11.3m in live tournament earnings. A full report is available at the PokerStars blog. The winner of the Â£20,000 High Roller event was Team PokerStars pro Jose “Nacho” Barbero of Argentina, defeating Finland’s Jani Sointula heads-up, earning Â£556,000. This is the fourth PokerStars-sponsored tournament Barbero has won this year, after back-to-back LAPT Main Event wins and a France Poker Series win in May. 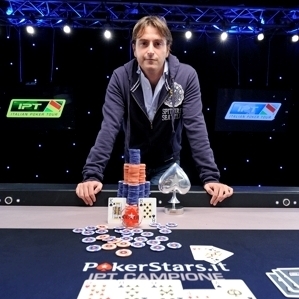 The report for this event is also available at the PokerStars blog. WSOP Circuit Southern Indiana, – Elizabeth, IN :: Samuel Serdard bested a field of 570 players in the $350 NL Holdem event, winning $47,171. The final table report is available at WSOP.com, with the full list of players who cashed listed here. I still don’t quite have a grasp on the format, or how the other four slots will be selected. But I do know Euros can qualify for a seat on their team via our good mates at Betfair Poker. 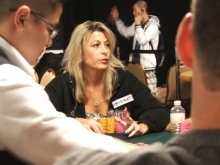 As you probably know by now, Team Pokerati-er “Angry Julie” Schneider is making a real stab at bringing home a bracelet in the $2,500 2-7 Triple-Draw. A lot’s on the line with this, of course … not only is this the second-to-last non-main-event chance for a woman to win, but also it may make the difference on whether or not the Schneiders can save the family farm. They’re on dinner break now … and she’s got some work to do. You can follow the event here, and Julie-centric coverage via @DonkeyBomber. Tom Julie Schneider Makes a Final Table! 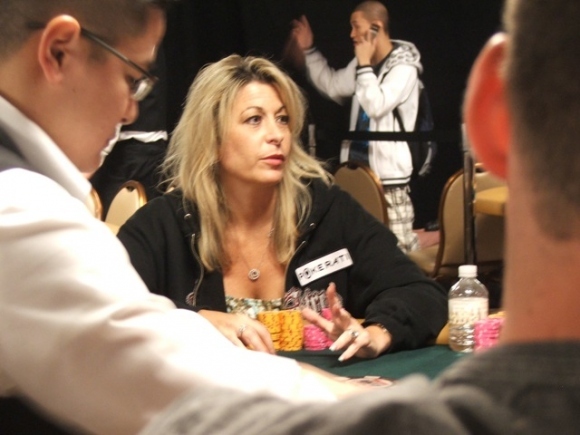 Julie Schneider just made the final table of six in the $2,500 2-7 Triple Draw Lowball. Follow the updates at www.wsop.com here.